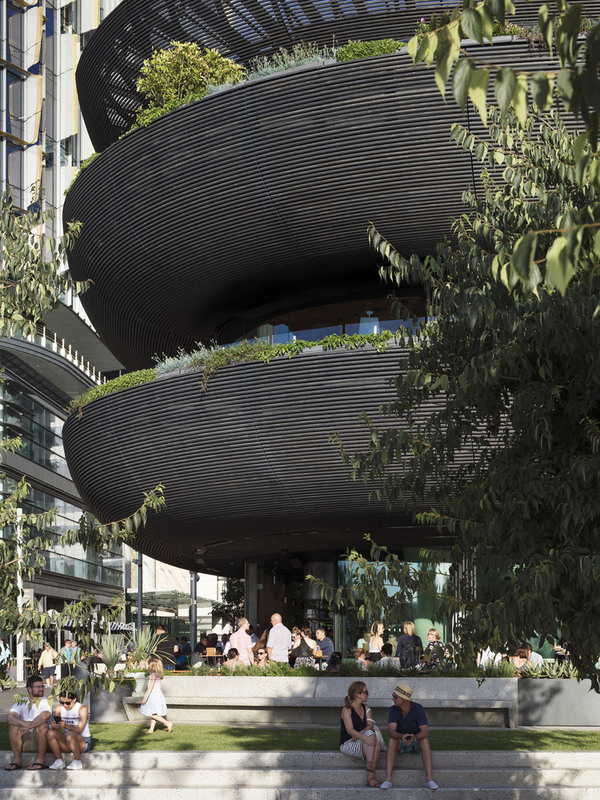 The design outcome of the building was based on a brief to create a holistic building, housing both edible and ornamental plants, and providing a rounded presentation to its surroundings. 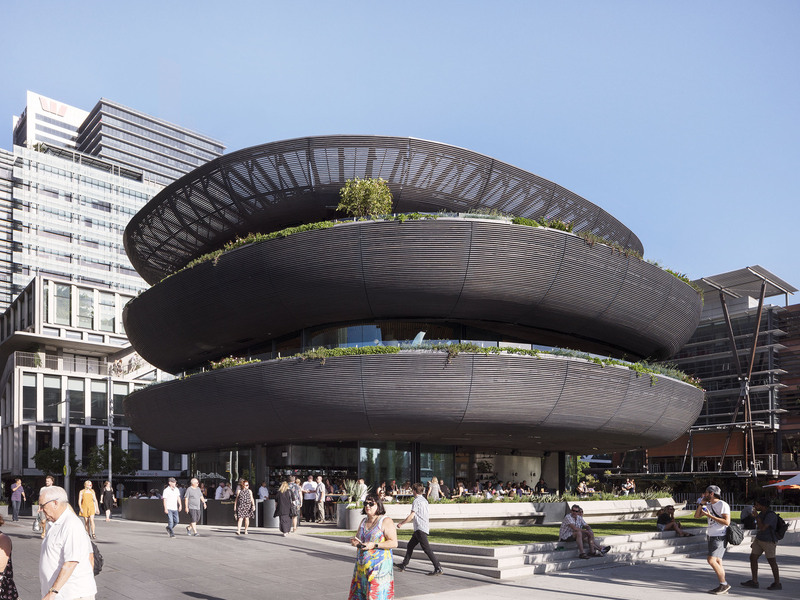 The sculpturally curved form creates a free flowing space around the building, which encourages movement and presents playfully to the street. 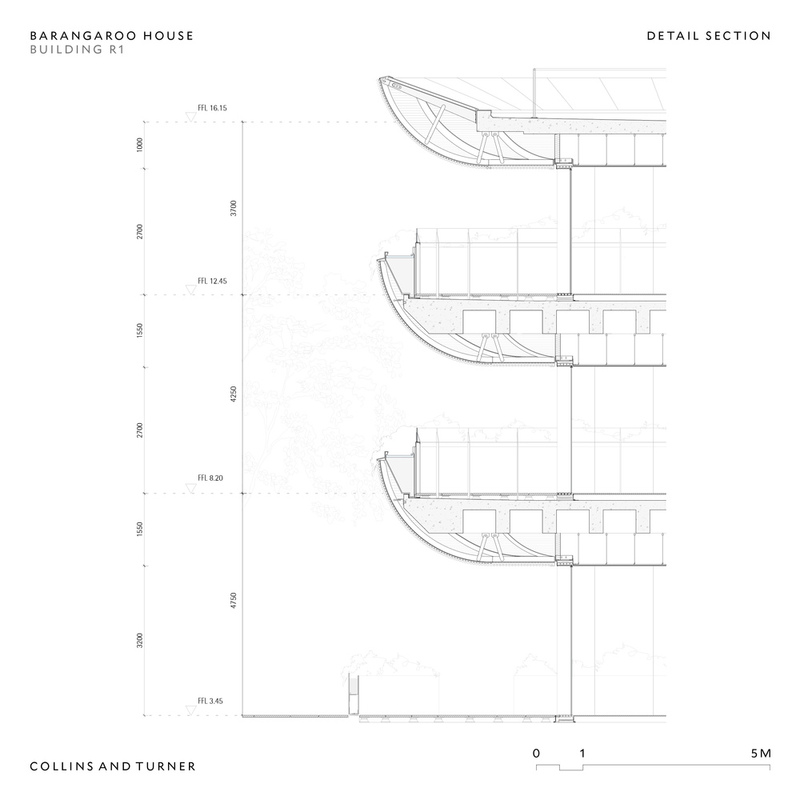 Layered terraces surround the structure, optimising views and outdoor space. 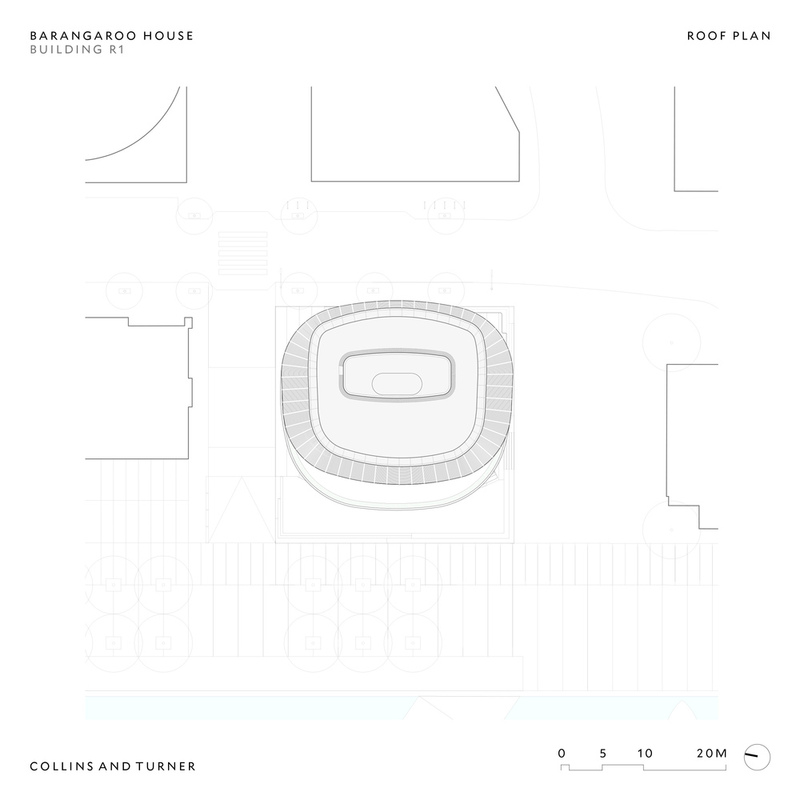 The design intention was to create a unique visual identity for the building, celebrating the prominent location and nature of the building, and eventually becoming a much loved icon. 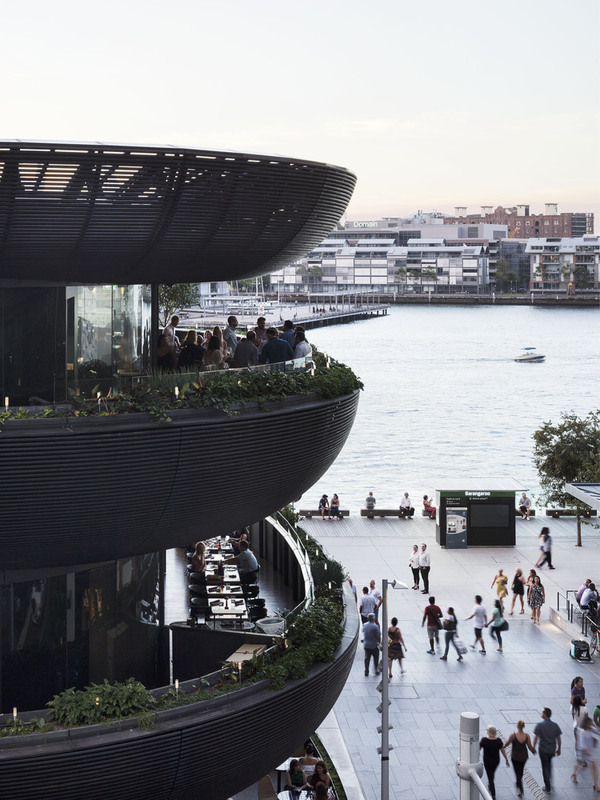 Barangaroo House is located at a pivotal point, acting as an entrance point to the Barangaroo Precinct when approached from the pedestrian areas of King Street Wharf, Cockle Bay Wharf and Darling Harbour to the south. 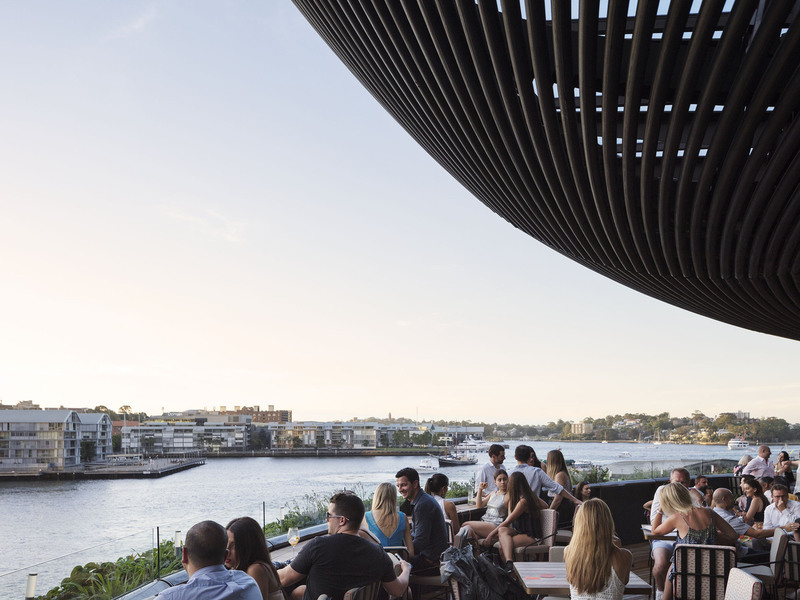 Collins Turner won the project through a design excellence competition run by Lendlease and the Barangaroo Delivery Authority. The complex is set to house a restaurant by celebrity restauranteur Matt Moran. The design choice was made to create a free open floor plan, allowing for future flexibility. The structural cantilevers required a complex and innovative concrete waffle slab design. The slabs included several layers of post-tensioning, interwoven much like a cable-knit jumper, to allow two-dimensional spans, distributing load back to the raking structural columns. 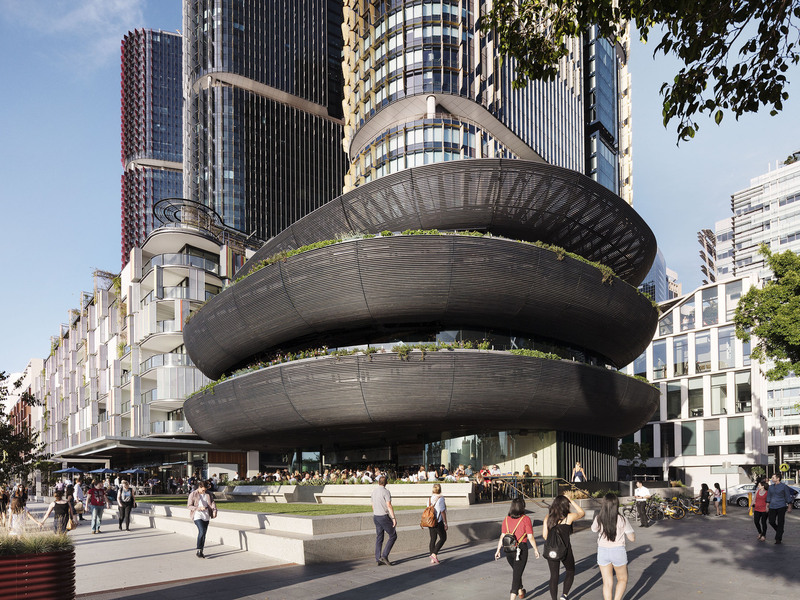 Barangaroo’s exterior cladding is its most unique quality. The unique system uses Accoya timber, which is cured in a vinegar based solution, and then charred using the traditional Japanese Yakisugi technique. The charred layer provides a natural weather resistance and chemical free preservation. In this case, the dowel was sanded back and coated with layer of oil finish. The timber was presented in dowels that were steam bent, then fixed with a custom system to create a double curved cladding. The custom fixing comprises an extruded aluminium bracket that conceals the fixings and creates consistent spacing between the 42mm dowels. The result is a perforated sculptural appearance that has high performance and high aesthetic. The rich, dark appearance is a result of the charred timber. The team at Collins Turner went through many iterations in the charring and steam bending process, determined to get the perfect result. Preparation began early, as the dowel was part of the design solution even before the form. The timber is a welcome novelty in the business area, dominated by glass and metal. The imperfect nature of timber softens the distinct form, and creates an elegant, textural facade. This set of three small buildings and the spaces between provides a second home for a young family within a forest clearing overlooking Golden Bay, at the top of New Zealand’s South Island. The goal of the project was to develop a low-impact building that blended seamlessly into the surrounding natural setting and showcased the visual, renewable energy and user well-being resources.